Nestled within a 4 1/2 mile bend of the Chattahoochee River and surrounding the prestigious Cherokee Country Club, Huntcliff is distinctive among Atlanta’s suburban neighborhoods. Populated by mature hardwoods, one-of-a-kind homes, and acre lots, many with a view of the river or the golf course, Huntcliff is a beautiful and peaceful enclave unto itself. The Clubhouse's main River Room is perfect for parties, weddings, receptions, rehearsal dinners, bar mitzvahs and meetings. 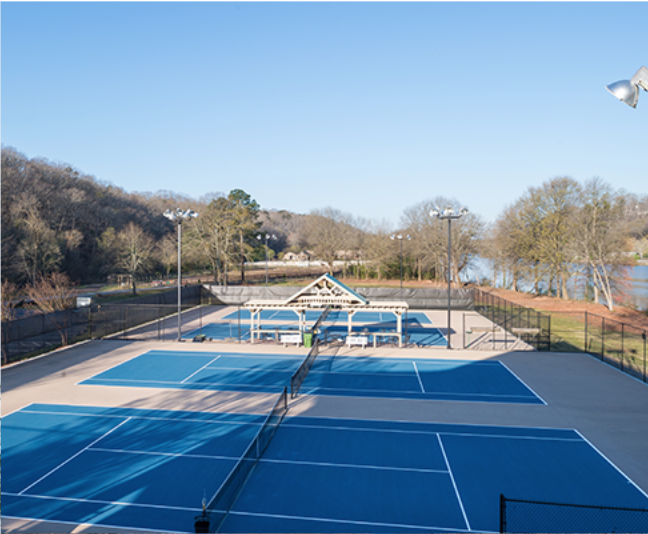 Whether gazing out at the river, paddling a canoe, playing tennis, taking a swim or looking at the pastures of the adjacent Equestrian Center, there is much to do at our active Club.